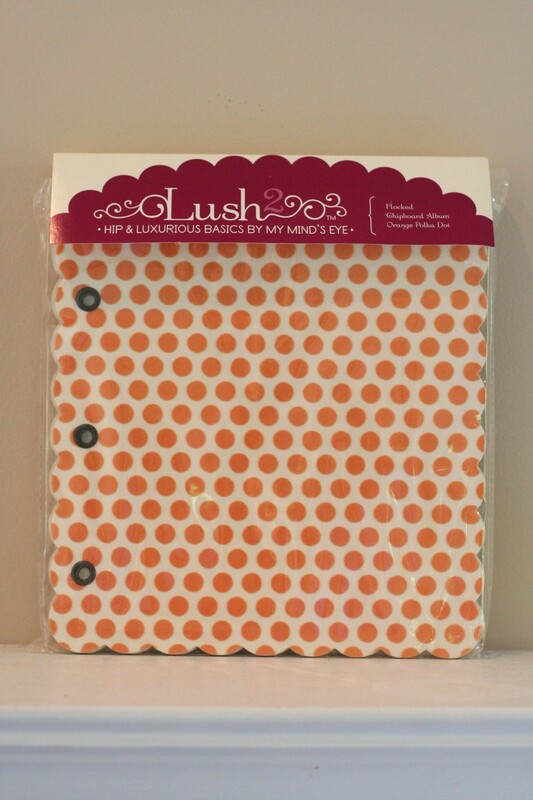 Had to share my little goody from TJ Maxx....it's a Lush by My Mind's Eye, flocked chipboard album cover set with 4 chipboard pages inside. Found it at TJ Maxx for only.....$2.99!!!!!!! I about squealed when I saw it! The flocking makes me so happy. And polka dots? 'Nuf said. I'm putting it on my list of things to make soon. 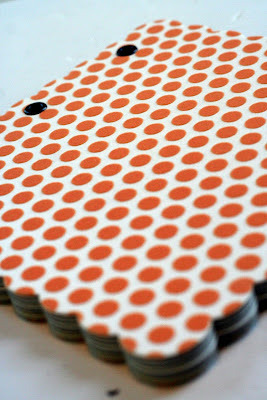 I'm going to make square pages to go inside every other scalloped chipboardey one. What can the topic be? What can't it be??? C'mon! Oh the possibilities. I love, love, love scrappy bargains! That IS a great deal! Love the color on this and it's polk-dotted :0) So cute! I almost bought this at my Tj Maxx but they had it for $5.99! I better go back and check because it is gorgeous!